Set and Setting - August 31 @ Turbo Haus. Photo Chris Aitkens. I wasn’t expecting a large crowd to show up on a Monday night, but Turbo Haus quickly filled up when the first band CHRIST went on stage. CHRIST had two two-level stands of synthesizers and pedals, which they used to prolong every note they played. 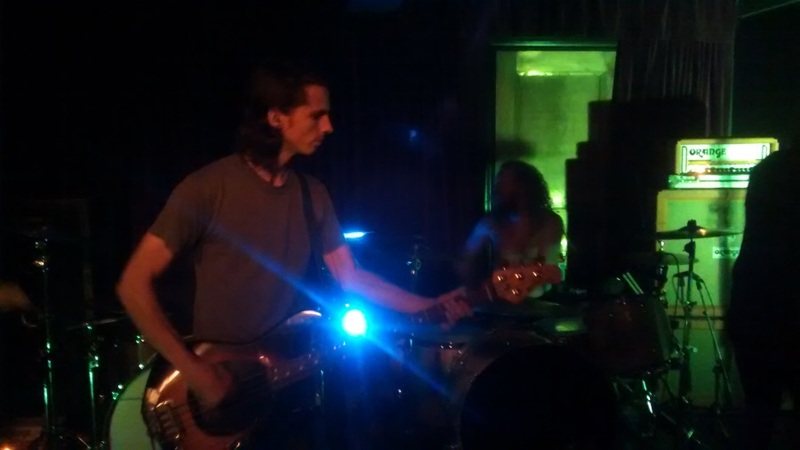 They only played four songs, mostly instrumental, but each song was long enough to make up for a 20-minute set. 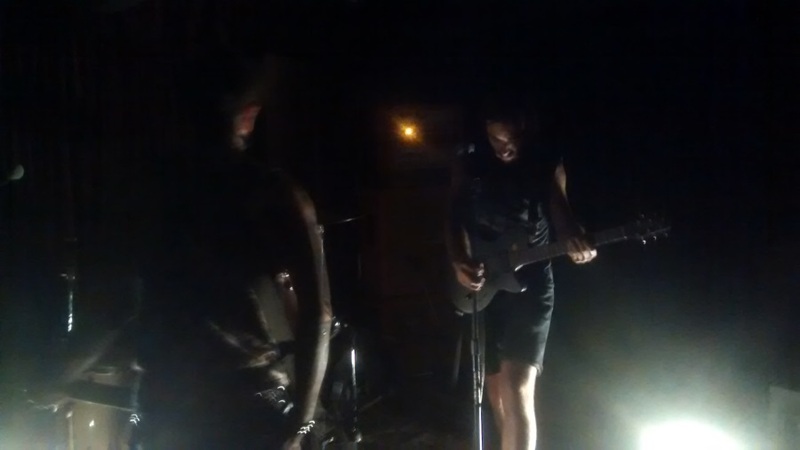 CHRIST – August 31 @ Turbo Haus. Photo Chris Aitkens. The stage was crammed with equipment. Each band had a multitude of pedals to choose from, making technical difficulties more lengthy when trying to figure out what went faulty. To add to that, bands preferred to play with as little light as possible, providing their own lights and asking for all other lights to be switched off, which is why a lot of the pictures I took on my phone are hard to make out. On next was So Hideous, a post-black metal band from New York. Like the band before them, they fiddled with a large selection of pedals and keyboards, but unlike CHRIST, the vocals were screamed, stretching out every syllable, before transitioning into an emotional, instrumental section. For the past week, So Hideous has been on tour with Florida’s Set and Setting, who went on after. Set and Setting is a purely instrumental band backed by two drummers, with heavy emphasis on floor toms. I was so fascinated watching these two drummers play in sync that I barely paid any attention to the rest of the band. Nevertheless, the music they produced was beautiful, with heart-stopping build-ups to explosive climaxes and soft fade outs. For most of the set, I closed my eyes and allowed my body to be enveloped in the wall of sound. 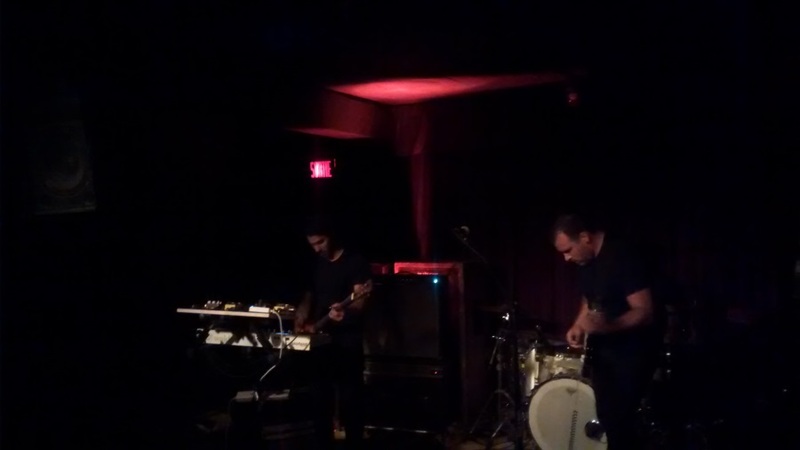 I regret not bringing a pair of earplugs when local crust band Dark Circles played their first note. I never saw them live before and several people highly recommended them prior to the show, so I wanted to experience them, front row center. I was blown away by their primal energy and their harsh vocals, not to mention they cranked their amps to the highest setting. This show was their first show in their hometown since they returned from touring Europe in July. It goes to show that although they might not have much of a local following, their sound alone is enough to carry them all over the world. At the end of the night, I walked out of the venue in shock, trying to regain my hearing after being musically assaulted.